Recreational boat owners who paid state sales taxes on a boat purchase, or those who secured a loan to finance a boat, may have some tax deductions coming to them when filing their 2010 federal income tax return, says a national boat owners group, BoatUS. For boat owners who paid substantial state sales taxes on a new or used boat purchase last year, the Tax Extenders Act of 2008 continues to offer a federal tax deduction for state sales taxes. 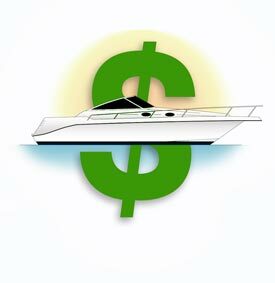 Boaters must choose either the state sales tax deduction or state income tax deduction on their federal tax return ? you cannot take both. In addition, to take the state sales tax deduction, the sales tax on a boat purchase must be applied at the same tax rate as the state?s general sales tax. In order to claim the sales tax deduction, tax returns must be itemized. State sales taxes are entered on IRS form Schedule A line 5b. Some boaters may be unaware of this potential tax benefit because not all lending institutions send borrowers an Internal Revenue Service form 1098 which reports the interest paid. Not receiving the form does not preclude taking the deduction. If a 1098 is not available, boaters should contact their lender for the amount of interest paid and should enter it on line 11 on Schedule A along with the lender?s tax ID number. If a form 1098 is sent, boaters should simply enter the amount on line 10 of Schedule A. Deductions are unavailable for those who fall under the Alternative Minimum Tax. Boaters are urged to contact a tax preparer or financial advisor for more information.